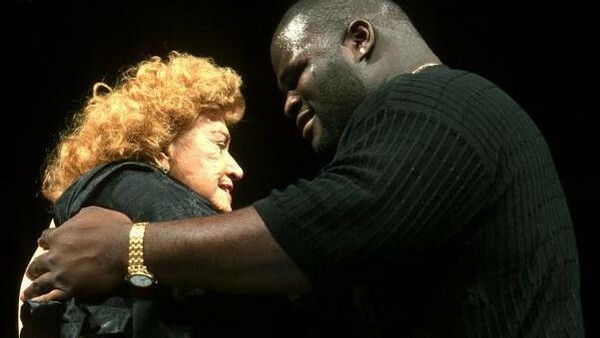 Mark Henry didn't know what he was signing up for in 1996, did he? In the 90s, a wrestling promotion called WAR was founded in Japan. Pretty badass name for a company, right? Well, it is until you find out that WAR stood for Wrestle Association R or, bizarrely, Wrestle and Romance. Considering WAR was about brutal violence, cutting-edge high-flying and appearances from wrestlers of the past, there wasn't much time left over for hugs and kisses. WWE, on the other hand - now there's a promotion that could justifiably be named Wrestle and Romance. Over the years, as WWE moved further away from 'sports' towards 'entertainment', they've devoted a significant amount of time towards the portrayal of on-screen relationships, often to the point where they take precedence over championship tussles. Look at the late summer/early autumn of 2000 and build to the Unforgiven pay-per-view, for example. The storylines getting the lion's share of the attention were the Kurt Angle/Triple H/Stephanie McMahon love triangle and the breakup of Eddie Guerrero and Chyna. WWE Champion The Rock? Oh, he was defending his title in a cobbled-together multi-man match that nobody remembers.